Why do consumers buy what they buy? Scientific insights from various fields including psychology, neuroscience and behavioural economics unlock the driving forces and underlying mechanisms of human decision-making, and purchase choices in particular. This book provides a journey through these fascinating insights from decision science. It is a practitioner's guide showing how to apply this valuable leading edge knowledge on consumer decision-making to our day to day marketing work. When Phil first introduced me to this new and important understanding it crystallised my fears that the long-standing approach to marketing needed to be fundamentally re-evaluated. In his book, he not only persuasively and cogently argues his case but also shows how we need to think in new ways to maximise our marketing efficiency and effectiveness. A perfect mixture of deep ideas from visual and decision neuroscience, and clear pictures of why those ideas matter for marketing. Over the last 10 years, there have been many attempts by marketers and their advisors to make sense of the explosion of learnings from cognitive neuroscience. But none is more useful than this: not only is the science explained clearly and precisely but the implications for marketers are made practical and understandable. Decoded is a must-read. Bravo! At last a book that unlocks the mystery of brand equity written by a man who's worked at the Marketing coal face for over 25 years. 'Decoded' should be compulsory reading for all brand owners. We know, as one of Phil's clients, that his approach is grounded in the reality of managing brands - and it works! With 'Decoded' Barden gives the power of advertising empirical foundation. A must for agency planners and creatives alike. I found this book a real page-turner. 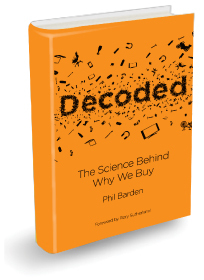 Phil Barden has the rare knack of turning scientific experiments and marketing examples into a fascinating story of how human beings really work. Phil has a way of marrying the art and the science which makes it cutting edge but practical, distinctive but simple; in short any commercial marketer cannot afford to miss this book – it will change the way you approach things forever. Our implicit motivations drive most of our decisions and actions every day. Phil Barden understands this, explains it, and clearly demonstrates how to use this new understanding to the benefit of more effective, action driven, marketing. The first practical application of Kahneman's Nobel Prize-winning work to everyday marketing - brilliant! Marketing has, for a long time, been an uneasy tussle between art and science: Decoded gives the discipline a very healthy and eminently accessible push in the direction of the latter. All marketers should read it. A must read for marketing managers who wish to deepen their understanding of the vagaries of the consumer behavior. 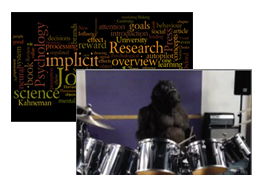 The difficult subject matter is presented in an accessible, logical and concise manner. I will certainly use this book in my graduate classes. By far the most interesting and useful marketing book I’ve read in ages - if you only have time to read one business book this year, make it this one. 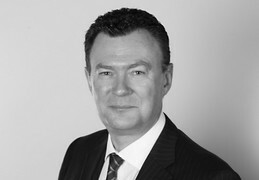 Phil Barden is a proven marketer with over 25 years' experience, including senior and international roles at high profile companies such as Unilever, Diageo and T-Mobile. Direct access to many of the inputs referenced in Decoded, together with further fascinating studies and relevant understanding. 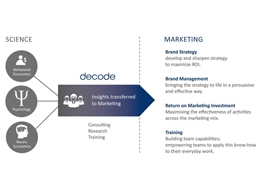 Staffed by ex-client side marketers, agency planning directors, scientists and academics, decode collaborates with leading neuro-economic institutions such as Caltech (USA) to empower marketing to use the latest scientific insights in their daily work.